All Triskele authors have published our print books with Lightning Source and each of us is delighted with the results. Lightning Source Inc (LSI) is part of the Ingram Content Group, which launched its latest initiatve - IngramSpark - at Book Expo America. Triskele Books are always curious about the latest publishing industry developments and watched the announcement with great interest. So we asked Lightning Source to talk to us about the way they work with indie publishers like ourselves and what the future holds. David Taylor, President of Lightning Source UK, was more than happy to talk to us and outline the company's plans. In a two-part interview, David explains the IngramSpark initiative and answers our questions on LSI and indie authors. Why did Ingram develop IngramSpark? Many of our publishers have asked us to create a service where they can easily distribute their content in all formats to our vast network of retail partners. IngramSpark is a response to those requests. Additionally, we wanted to streamline our sales, account setup, content management and customer support activities by providing publishers with a better experience through a self service, completely online portal where they manage all their activity in one place. Does this mean Ingram is getting into the self-publishing business? We are in the business of servicing our upstream (publishers) and downstream (retailers, library) partners. As the definition of “publisher” has evolved in the industry to “content provider”, Ingram will provide services to assist getting that content to market, as we have done from the beginning. Ingram Content Group work with all publisher segments in the industry. What services will the IngramSpark program offer? IngramSpark will launch with global POD service via LSI-US; LSI-UK and LSI-AU. Additionally eBook service via the CS-fulfillment channel will provide distribution to over 100 online retailers. In August, the CS+ network comes online making eBook content available for Amazon Kindle, Apple iPad, Nook and 13 other major e-retailers. Plans are underway for IngramSpark to also offer file conversion services, ISBN purchase via an arrangement with Bowker, and a marketing program that includes advertising via Ingram’s Advance catalogues, press release and book review services. Publishers using IngramSpark will pay for services and fees by credit card they have on file in their account. What is the difference between IngramSpark and LSI print services? LSI is a pioneer and innovator in POD technology so all that LSI has to offer in choice of format, trim size and color options will be available to the IngramSpark publisher. The cost of printing and shipping content is the same in both platforms. LSI allows more flexibility in terms of a publisher being able to set a range of channel discounts where Spark applies a standard trade discount of 55%. LSI accounts have an assigned CSR where Spark is designed as a self service platform with limited support. As LSI print service users, we're wondering what that means for us. Just to be clear – we are not trying to move customers over to Spark, just provide greater choice in the market. Part 2 of David's interview will be out next week. 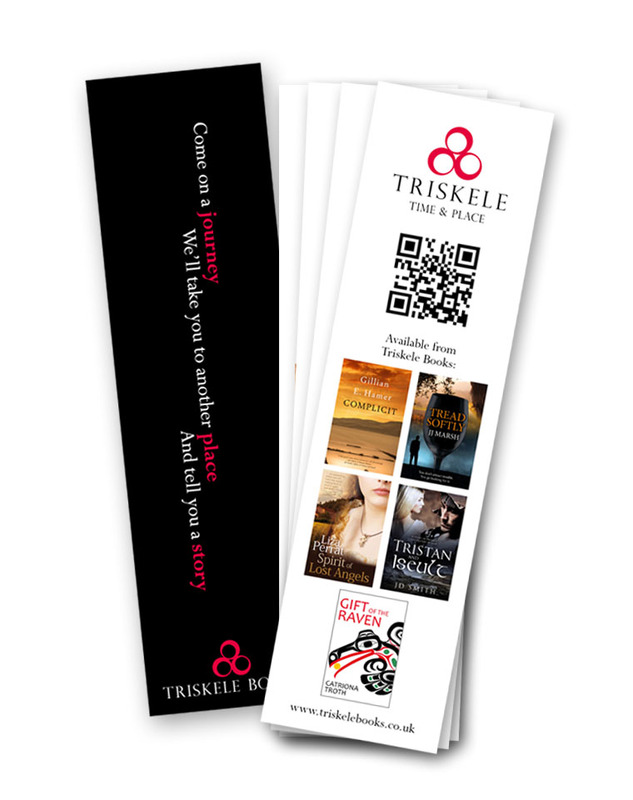 Triskele Books are all about Time and Place - so how do writers evoke a sense of place? Last September, I wandered, more or less by chance, into the Writing Britain exhibition at the British Library. From their vast collection of books, manuscripts, audio and photographs, the Library had assembled a panoramic view of how writers from the Middle Ages to the present day have represented the British landscape. I knew the mountains of Wales from my mother's beloved Under Milk Wood. Surprisingly, a writer does not have to be a native or even long-term resident to be able to conjure a time and place to vivid life. The author of The Guernsey Literary and Potato Peel Pie Society only ever spent one day stranded by fog on the island. Sarah Waters' The Night Watch helped me to understand, as nothing else had, the realities of living through the London Blitz, though she was born in twenty years after the War ended. Michel Faber’s portayal of the seamier side of Victorian London in The Crimson Petal and the White is as beguiling as Dickens’. Article first published in Words with Jam magazine. Helena Halme is a Finnish author living and writing in the UK. 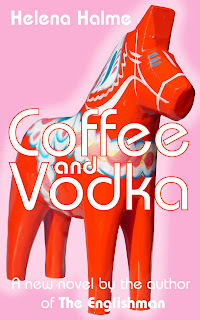 She has independently published three books, all with a Finnish connection, the latest being Coffee and Vodka. Helena, when we met at the London Book Fair, it was apparent that one thing we had in common was that we'd both emigrated from one country to another that, to an outsider, would seem to have superficially similar cultures. But we both found that, from a child’s eye view at least, the differences could loom a lot larger. Can you tell us a bit about your experience? When I moved to Sweden in the early 1970s, at the age on ten, my parents decided to put me and my sister into a normal Swedish school. It was the done thing in those days. But for us Finns learning another language is very difficult. Finnish is close to Hungarian and very unlike Swedish, which is Germanic and related to English. I was soon aware, however, that learning the language wasn’t enough. I noticed that people around us - the normal Swedes – very much looked down on Finns. I now of course understand the socio-economic reasons behind this discrimination. Sweden has traditionally been the richest of Scandinavian countries. At one time it ruled over all its neighbours, and as late as the end of 17th century Finland too was part of Sweden (before Sweden handed it over to Russia). Even today, Sweden is very much considered in Finland as its Big Brother (for better or worse). Finland fought in WWII and lost a large part of its territory to the Soviet Union in order to remain independent. This had a drastic effect on the Finnish economy, so after the war many Finns emigrated to Sweden in search of a better life. But in Sweden Finns were seen as poor people who drank too much, didn’t learn the language and were often violent. For a child, it was puzzling why suddenly your mother tongue, and the country you came from, was undesirable, and even hated. This feeling of bewilderment, combined with a desire to adopt the new language and its customs, was why I was compelled to write Coffee and Vodka. I wanted to convey a negative immigrant experience from a young girl’s point of view. You then moved countries again, from Sweden to England. How would you compare the experience of emigrating as an adult to doing it as a child? My second major move was a totally opposite experience. To my great surprise, in the UK Finns were rather revered and admired. My father-in-law complimented me on the ‘brave Finns who fought the Russians’ and on the Finnish composer Sibelius who he loved. (And who I’ve later discovered I am distantly related to!). My second experience of this ‘admiration’ was at the airport when I travelled into the UK for the first time as the wife of an Englishman. This was before Finland had joined the EU and I was required to have a medical examination at the border in order to receive an ‘indefinite leave to remain in the UK’ -stamp on my passport . Instead of examining me, the doctor apologised for the inconvenience and said I was probably healthier than majority of the English population and signed my forms without as much as lifting the stethoscope from around his neck. How would you say those experiences have influenced your writing? I would go as far as to say that without having the experience of changing countries and cultures I would probably not be a writer at all. 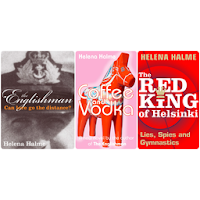 Coffee and Vodka is based on my experience as a Finn growing up in Sweden, and The Englishman is a fictionalised account of how I met my naval officer husband and moved to the UK. But of course, it’s hard to say if I would have become a writer anyway. The urge to write is so strong, I’m sure I would have found something else equally compelling to write about. We’ve both been back recently to the places where we grew up, which can be a strange feeling. When your lead character in Coffee and Vodka returns to Tampere for the first time as an adult, she feels like a stranger. Does this mirror an experience you had? And how do you find it today? Eeva in Coffee and Vodka does feel like a stranger when she visits Tampere, but she has been away for thirty years, which is a long time. I have visited Tampere more often, but I did have a period of being away for about 10 years, when the children were small, and none my close family lived there. I think visiting your home town is always strange, and even more so if you live abroad. 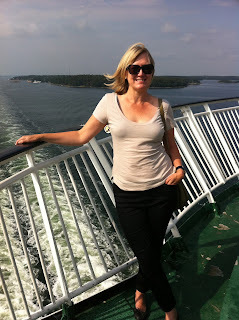 Today when I go back to Finland, I feel somewhere between the two: I am a Finn and an Englishwoman, all rolled into one. I look at my fellow Finns through the eyes of an Englishwoman. I recognize the shyness, the silences in conversation that Finns never feel compelled to fill, and the directness of their actions and words. This makes me smile and feel at home again; at the same time I feel foreign in my own country. It is a very strange feeling, and I often feel very sad leaving Finland while at the same time delighted to be coming back to the UK. Conflicted doesn’t really begin to convey how I feel! You have published several books in English. Why did you choose to start writing in English, and does it feel like your natural medium of expression now? Do you ever write stories in Swedish or Finnish? I’ve written a diary on and off since I was little. When I married my Englishman and moved here, I started keeping a diary in earnest. I don’t know why, but I wrote it in English at the start of the book and in Finnish at the back. I’d forgotten about this until I found the diary a couple of years ago when we relocated to London. My first job here in the UK was working for the BBC where I translated Finnish and Swedish news items into English, and I guess that is when I slowly began to think in English. Now I sometimes write articles for ex-pat Finnish magazines in both languages, but the Finnish version takes me a lot longer to compose! Why did you choose to publish as an Indie author and how have you found the experience? What have been the best and the hardest things about it? Over the years I’ve approached a few literary agents, and was asked to rework one of my novels for an agent. In the end nothing came out of the relationship and so with the emergence of the e-book, I decided to take the plunge. I had the three books professionally edited, employed an experienced cover designer and pressed ‘publish’. One reaction I had to Coffee and Vodka was that – in an odd way – it reminded me of the Swedish/Danish television series, The Bridge. Of course the subject matter is very different, but they both draw attention to the differences between Scandinavian countries that the rest of the world tends to lump into one. I know you’re a big fan of Scandi-noir yourself. How do you place your own writing in relation to the current craze? Do you think there is an opportunity to broaden the interest in Scandinavian writing beyond crime fiction? I’m delighted Coffee and Vodka reminds you of The Bridge. Result! Seriously, I think the time has come for Nordic writing to get literary. I don’t mean that Scandi Crime isn’t of good quality, but there are so many Nordic writers not writing crime which are worth a try. But as usual, this like any craze, is fuelled by the industry. Couple of years ago, a fantastic Finnish book by Sofi Oksanen called Purge got a lot of attention here and in continental Europe. It won so many awards, it was almost ridiculous. 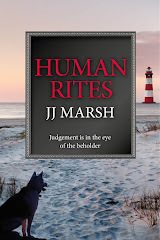 But in UK bookshops this ‘serious’ fiction title, dealing with violence against women, war atrocities, prostitution, human trafficking, reflected against the oppression of a small Baltic state, was classed as a crime novel. Many people who do not read crime fiction, were turned off this high end fiction title just because the UK publisher was too scared to sell it for what it is: a modern literary classic. Do you have any undiscovered gems of Scandinavian writing that you’d recommend to English speaking readers? What about books that haven’t been translated but you wish had been? Apart from Sofi Oksanen’s Purge, I would recommend Kari Hotakainen. Like Oksanen, he has won the coveted Finlandia Prize. His latest novel The Human Part is a quirky tale of ordinary folk in modern Helsinki who do extraordinary things. The Human Part has has been awarded the Runeberg Prize as well as the French Prix du Courrier International. Finally - the inevitable question for any writer - would you like to tell us what your are working on now? As always, I’m working on several novels at the same time, and will eventually pick the one that has the strongest pull on me. At the moment this is a sequel to The Englishman based on the diaries I wrote when I first moved to the UK. 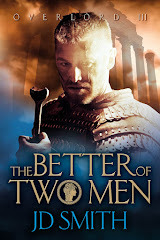 Oh, to be in England is another story of displacement: even though Kaisa feels happy to at last be together with her Englishman, the reality of being a naval wife isn’t as wonderful as she thought. The Englishman is away at sea for long periods and Kaisa can’t find a job. Her hard-won degree from Finland seems worthless in the UK, and she is lonely and home-sick. In the UK coffee is too weak, the bread too soft and the conversation too polite. Will the cultural differences and domesticity pull Kaisa and The Englishman apart? Read Catriona Troth's Review of Coffee and Vodka here. I was drawn to the idea behind Coffee and Vodka before I had even opened the first page. Like me, Eeva, the main character, had moved from one country, and one culture, to another at a young age. Moreover, they were countries that appeared – to an outsider at least– to have superficially similar cultures, so surely it should be an easy transition. But as Eeva discovers, particularly for a child, sometimes small differences can loom very large indeed. 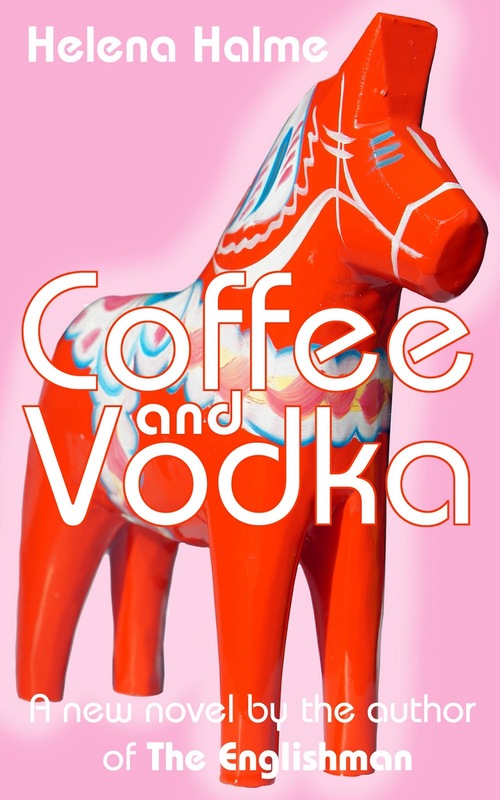 Like the television series The Bridge, Coffee and Vodka opens our eyes to facets of a Scandinavian culture that most of us would lump together into one. I loved the way the narrative wove together the viewpoint of Eeva the child and her shock at arriving in a new country, with Eeva the sophisticated adult, returning for the first time to the country of her birth, and finding it both familiar and irretrievably strange. Without giving too much away, the turning point of the story is the fracture in Eeva’s parents’ marriage. The two halves of the narrative also provide, indirectly, the two sides of the parents’ story. From the first scene in the book, when Eeva’s papa announces that they are moving to Sweden, tiny uncomfortable clues are planted that all is not well. And when the adult Eeva first appears, it is clear that she has cut herself off from her father. 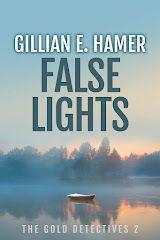 Yet, with great subtlety, just as Halme shows the child Eeva beginning to see her father in a new light, she also shows Eeva the adult coming to terms with the fact that her mother was not without fault either. There are, indeed, two sides to every story. If you are a fan of Scandi-noir, and you’re ready to try something beyond crime fiction, you will surely love this. Helena Halme is also the author of The Englishman and The Red King of Helsinki. 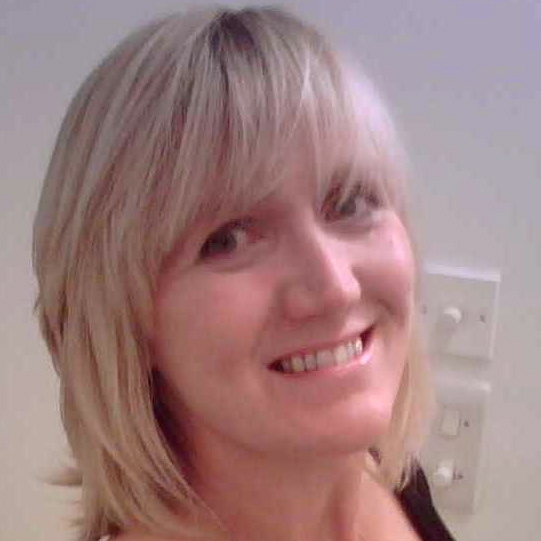 You can read Catriona Troth's interview with Helena here. In the immortal words of Russ Abbott, I love a party with an atmosphere. And this one had it in abundance. 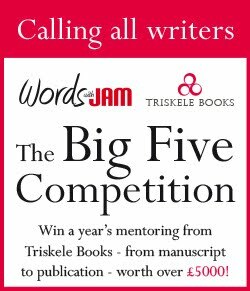 Triskele Books and Words with JAM collaborated to throw an enormous great launch party! 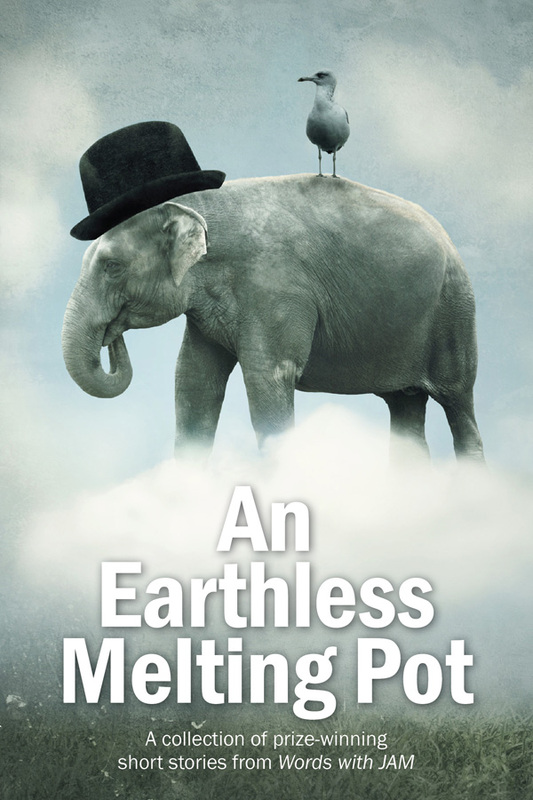 Words with JAM editor Jane Dixon-Smith launched An Earthless Melting Pot, the anthology of winning stories from the Bigger Short Story Competition. Judges included Jane Fallon, Ben Myers and Zoe Fairbairns. The cover was a talking point in itself. Ruby Cowling, winner of the 2,500 section, read her touchingly beautiful Abhra, The Cloud. Ken Elkes read his bittersweet 250 word story Busy Lizzy, and Zoe Fairbairns (who judged the Flash Fiction section of the competition) couldn't wait to shake Ken by the hand! 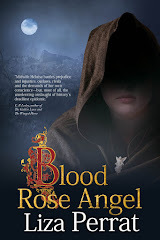 Triskele launch authors chose to talk about their books in a series of brief interviews with Liza Perrat, whose book Spirit of Lost Angels was published in the first wave of Triskele releases. Gillian Hamer explained her fascination for Anglesey and why her third book, Complicit, is set on the wild North Wales coast. Jane Dixon-Smith confessed her love for all things historical as the driver behind her retelling of the Tristan and Iseult legend. Jill Marsh talked about Tread Softly, her crime novel set in the Basque Country, and her research into Spanish wines. Catriona Troth discussed her novella Gift of the Raven, and how she identified with the main character's quest for his heritage. All four authors reiterated their satisfaction at going the independent publication route, a fact which delighted one of the guests in particular. Polly Courtney famously dropped her publishers, Harper Collins, after their marketing her as chicklit, and became a self-publisher. She is a huge champion of independence and creative control. Indie authors were well represented by members of The Alliance of Independent Authors, such as Helena Halme and Lorna Fergusson. But as we're fond of saying, there is no Them and Us. Traditionally published authors also turned up to support us and join in the fun, such as Guy Saville and Annemarie Neary. 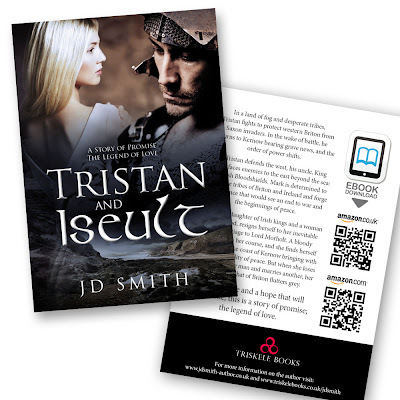 Both Triskele Books and Words with JAM grew from writers who had met online. Thus Saturday was one of those occasions when people who'd 'known' each other for years, actually met for the first time. The corks popped, the nibbles were nibbled and the chat flowed.It was over all too quickly and as we sat in stunned silence among the debris, we looked at each other, blinked, smiled and said, 'We did it! '.